High school students from Mercer County, NJ, have received scholarships to attend Berkeley College. Each year, these scholarships are awarded to high school seniors who demonstrate a high level of achievement. The scholarships are renewable, based on the recipient’s cumulative grade point average at the end of each academic year and continued enrollment as a full-time student. Photo Caption A (L to R): Elijah Parkman-Williams of Ewing; Steven Gamboa of Hamilton; and Delma Rose, Associate, High School Admissions, Berkeley College in Woodbridge. 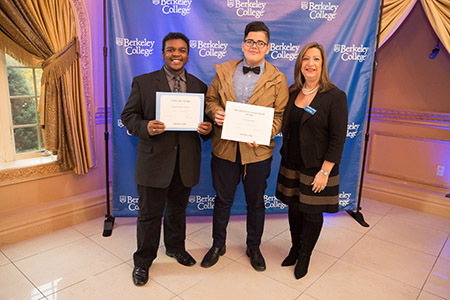 The students received scholarships to attend Berkeley College. Photo Caption B (L to R): Eryk Jasinski of Lawrenceville and Evan Woodhouse, Associate, High School Admissions, Berkeley College. 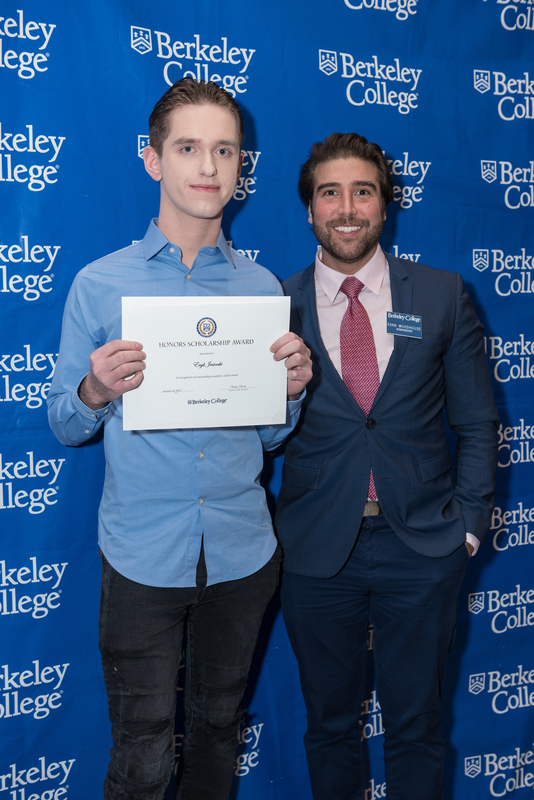 Mr. Jasinski received a scholarship to attend Berkeley College.